Isn't it funny how sometimes a MOC takes on a life of it's own? You set out to build one thing, but through whatever magic the bricks get their way and you end up building something else. That's sort of the origin story of this brilliant AT-ACT by Ben Cossy. 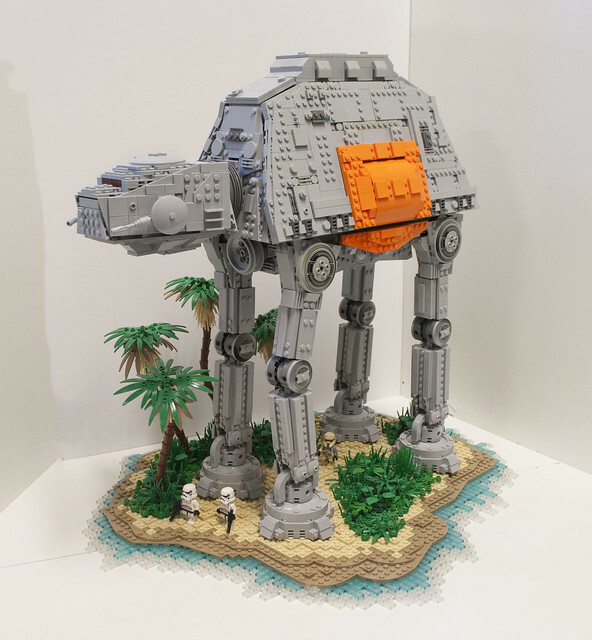 What started as a little Scarif scene evolved into this colossal minifig scale walker.